2013 Alex Woolfson. Todos os direitos reservados. 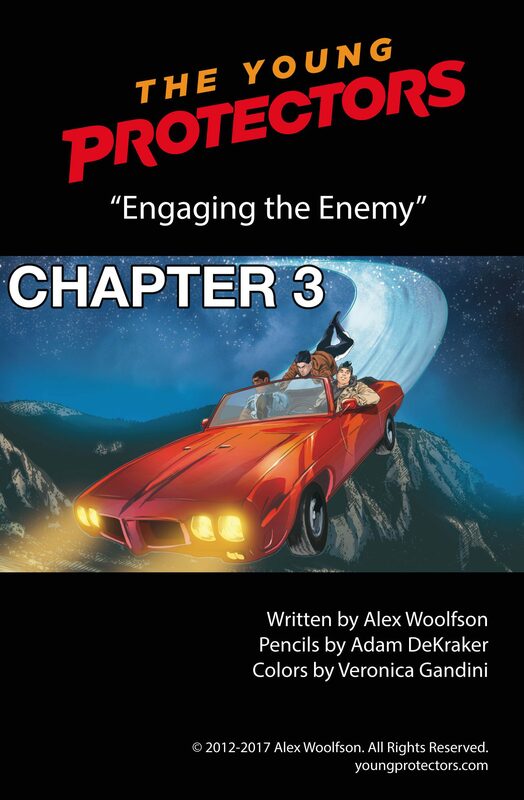 Chapter Three of the “Engaging The Enemy” arc of the superhero comic The Young Protectors is written and published by me, Alex Woolfson. Pencils are by Adam DeKraker and colors are by Veronica Gandini.